We understand the importance of quick and efficient delivery. With more than 4 million square feet to house inventory, we have made a commitment to deep inventory. 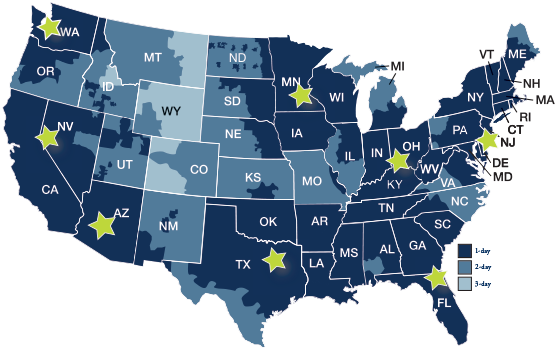 SanMar serves more than 84% of the U.S. with next-day delivery and more than 99.7% with two-day delivery. Click on a warehouse location for driving directions and Will Call hours.